We Can Fix Ideal, Potterton, Vaillant & Baxi Boilers. Professional Boiler Repairs In Tooting Provided By Fully Qualified Engineers. Our Emergency Response Team In SW17 Can Respond To Your Emergencies, 24 Hours A Day. If you need boiler repairs in Tooting, then Trustworth Plumbing is a great choice. Our hard-working team of experienced engineers also have the ability to provide expert installations, as well as a professional 'service'. There has never been a boiler made that our team can not successfully fix. They are used to fixing the most widely installed ones. 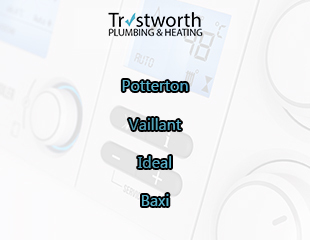 Trustworth Plumbing are experts at fixing Baxi, Ideal Vaillant and Potterton gas appliances. There are lots of benefits for getting your boiler serviced on a regular basis. We offer an excellent choice of packages that are guaranteed to make real improvements. For those of you who choose to never have your gas appliance checked, you can end up needing a costly replacement. Our dedicated local engineers are all gas safe registered. So they follow a very strict code of conduct in respect to all aspects of safety. Working with gas, you can not take risks or cut corners. Trustworth are among the best in our profession and you can have full confidence in us to get the job done correctly. You can trust us to always carry out the best quality, expert work. Your boiler can not last forever. However our Tooting boiler repair team can talk to you about our great aftercare packages. They are geared at minimising the frequency of repairs you may face in years to come. They are very knowledgeable and always have time to answer your questions. Our customers are loyal to us because they are always impressed with our high standard of work. We always attempt to fix your appliance (if it is possible). There are times where we are unable to fix your boiler. So your only option is to get a replacement. There are other specialist heating companies offering boiler repairs in Tooting. We stand out because we live and breathe our work. We enjoy our job and follow every single safety rule. 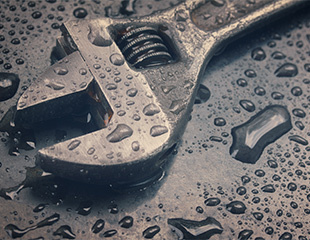 Our trusted team can successfully repair all types of leaky boilers. It doesn't matter if leak is coming from a pressure/temperature valve or even a broken seal. The best boiler repair Tooting offers is found at Trustworth Plumbing. We have the skills and experience to tackle any central heating problem in your home. We strongly believe it is better to prevent a repair and not to carry out one. We highly recommend you choose a regular boiler service. It can be so easy to lose focus on the maintenance side of things, for your gas appliances. When something does goes wrong, you will be full of regret. Things can go wrong in the blink of an eye. If you have a family of young children, just imagine waking up to no hot water and heat. So when you face that type of heating emergency, you know who to call. There has been many breakthroughs in boiler technologies. It is vital for us to keep up to date with any technological improvements on how repairs are carried out. Obviously any new technique we use will be in-line with the recommendations of the industry's top organisations. One thing that is clear about our boiler repair Tooting team, is that they are absolute perfectionists. If you are in SW17 and have experienced a boiler breakdown - Call Trustworth Plumbing. Our fast response engineers easily deal with this type of heating emergency every day of the week. They will precisely diagnose what the issue is and offer the right solution. They work with absolute skill and precision. They never leave a mess behind and will carry out every vital check. 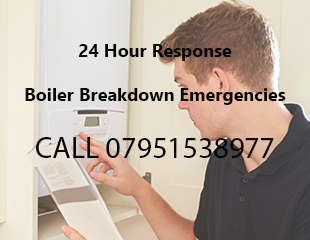 Book the best local boiler engineers to fix your broken gas appliance. Our job does not just stop there. We want to minimise the number of future breakdowns. You can save money by having a boiler that is operating efficiently. We are experts at repairing the following boilers: Baxi, Potterton, Ideal and Vaillant. Our team carries out the most professional checks and offer faultless servicing. Always use a qualified gas safe engineer for this type of work. Gas can be very dangerous, especially when unqualified people work with it. Our once or twice yearly servicing packages offers the best aftercare possible. Call us to discuss what the right package is for you. We have a reliable boiler installations team that can handle any task. We can advise you on how to safely dispose of your old boiler. We offer a 3 year guarantee on all installations. For all boiler emergencies in SW17 call us on 07951538977. Our 24 hour response service is something you always rely on. We always aim to get to your home / property, in a quick and safe way. Our same day response gives you that peace of mind that the situation will be soon under control. Being without hot water or adequate heat (especially in the Winter) is an emergency. If you are elderly or have young children, it could be an additionally stressful time. Trustworth covers the South-West London region. We also offer this service to landlords and business owners. It does not matter what make your boiler is - we can repair it.